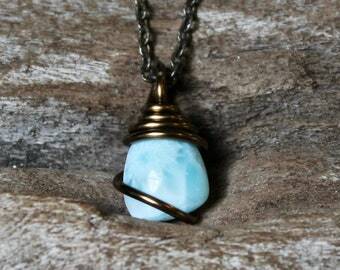 This natural larimar gemstone has been wire wrapped in bronze wire and measures 7/8" long (including the bail - see photo #3). 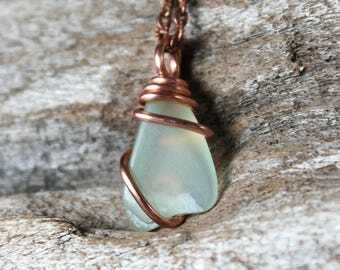 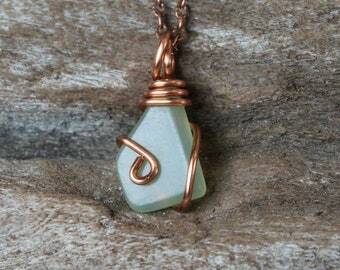 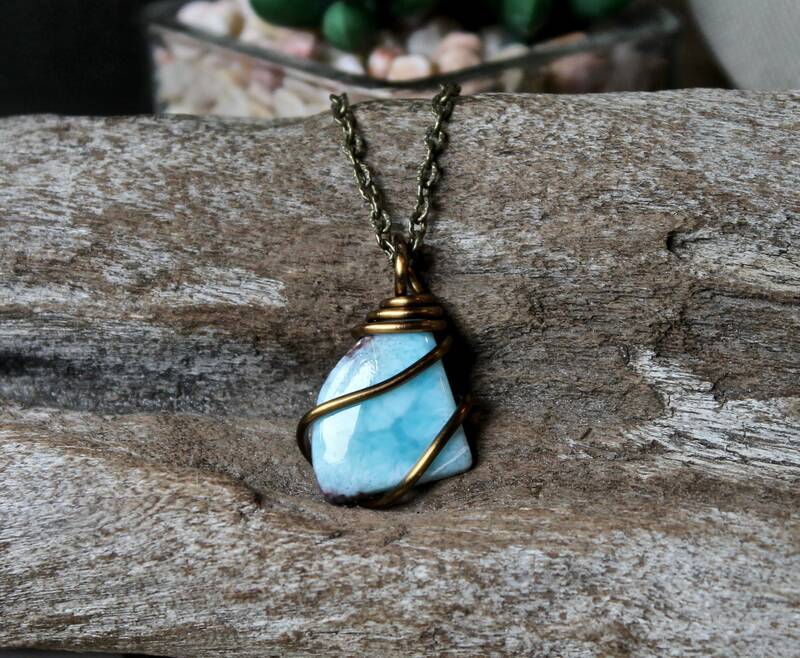 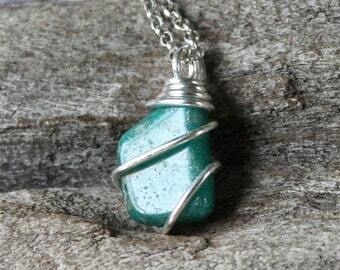 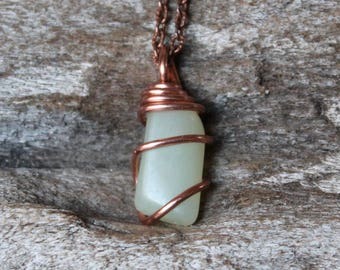 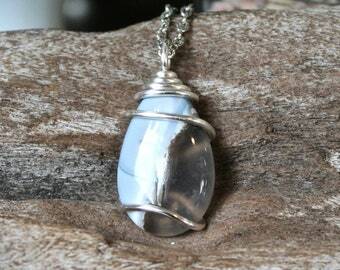 The wire wrapped gemstone pendant comes on a bronze chain and you get to pick the length of your natural larimar necklace! 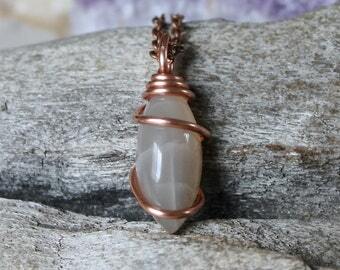 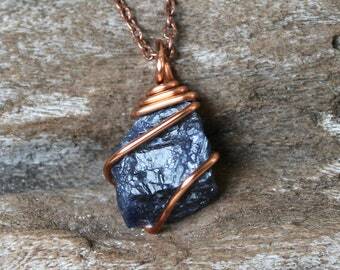 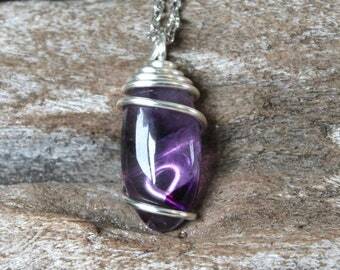 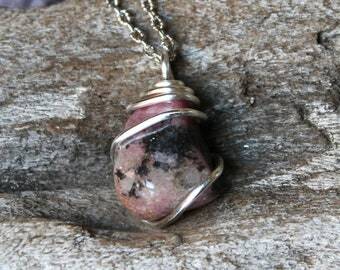 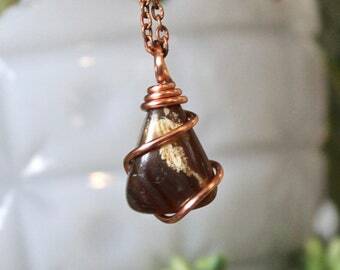 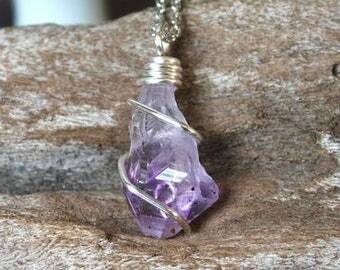 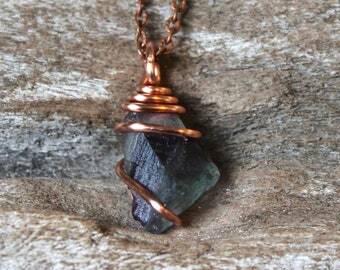 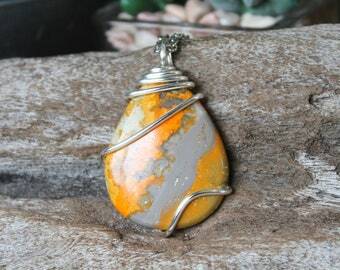 This is the exact stone necklace you will receive - it is double-sided! 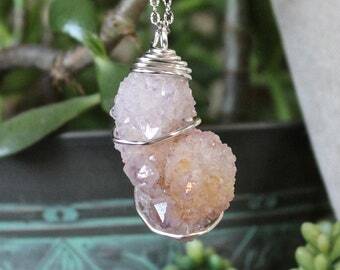 All photos were taken in the natural sunlight, colors may slightly vary depending on your monitor.